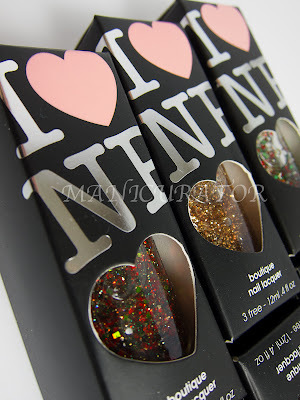 I'm thrilled to be showing you the entire Winter Collection by I Love Nail Polish! This is part one, showing you 3 of the 6. Next post will be the other three. Please check out Barbra's Facebook page! 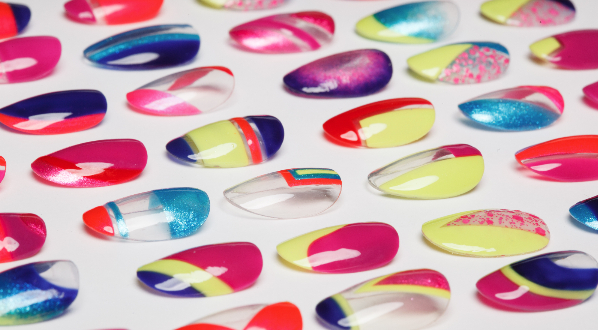 She has a huuuuuge following and regularly shares manis on her page that she loves. 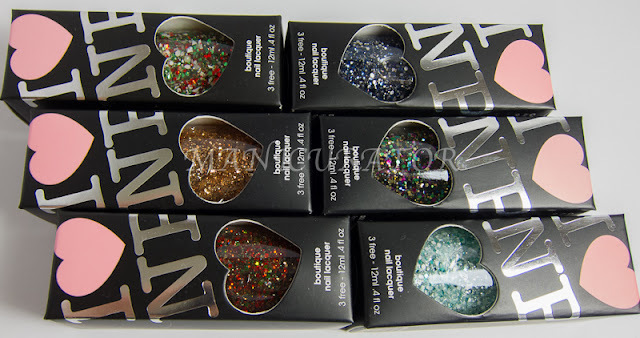 Speaking of love...the packaging on these polishes is the best of the best. So much time, care and thought has gone into her packaging and it is more than worth it, for your experience of this brand is heightened and enjoyed because of it. Each 12ml bottle is $10 and you can purchase from her Etsy shop. You can also shop from her website. I'm really enamored with the packaging. No details has been overlooked! These all come with a steel ball for easier mixing, a rubber cap for better gripping, and a wide brush for easier application - all in a 3-free lacquer suspension base. 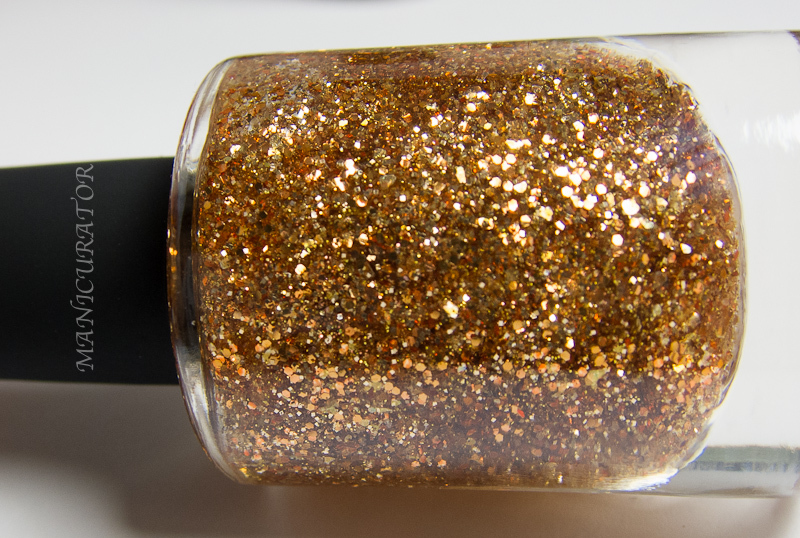 From the Etsy description: Ginger Spice Latte is one of those nail polishes that just work. 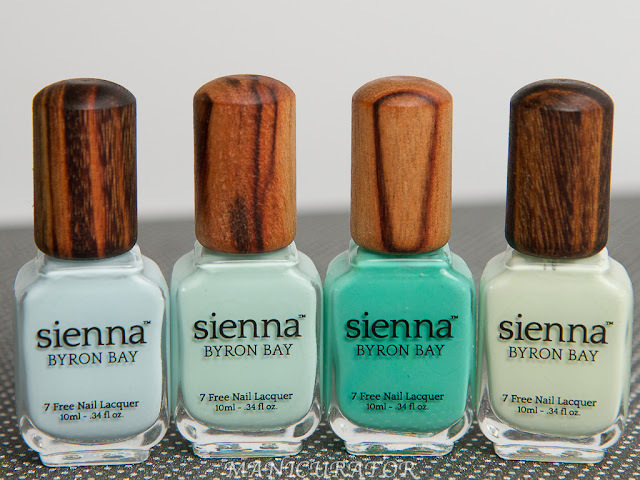 Layer it over a neutral color and you’ll be drooling over your fingertips almost immediately! This tasty goodness was brewed up using a combination of coppers, gold, and caramel glitters. 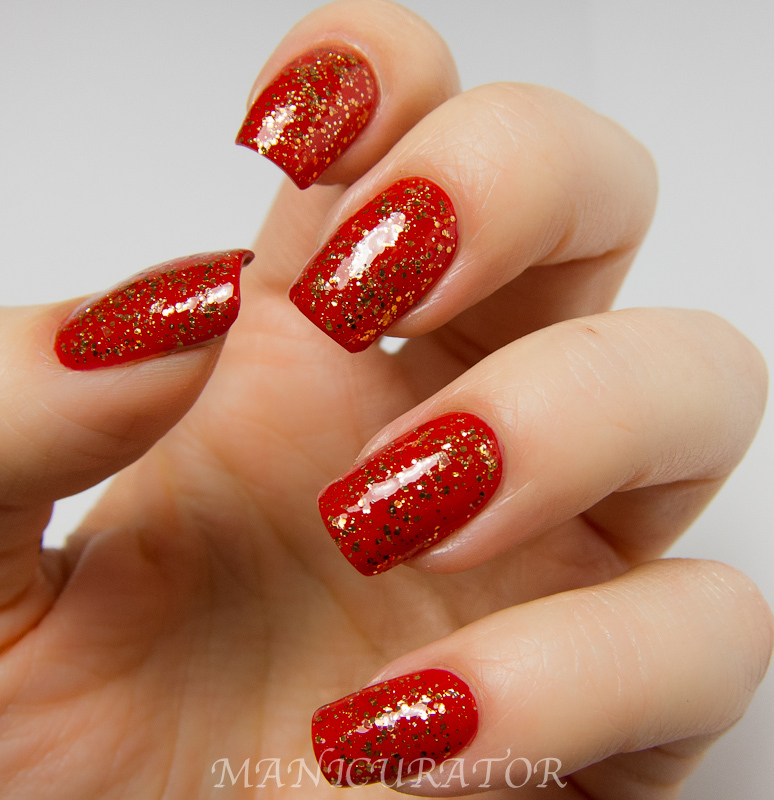 Here's my base "undies" two coats of the lovely Chinoise by Rescue Beauty Lounge. It's a very classy golden glitter top coat. I have on one coat here and it applies easily, no issues. 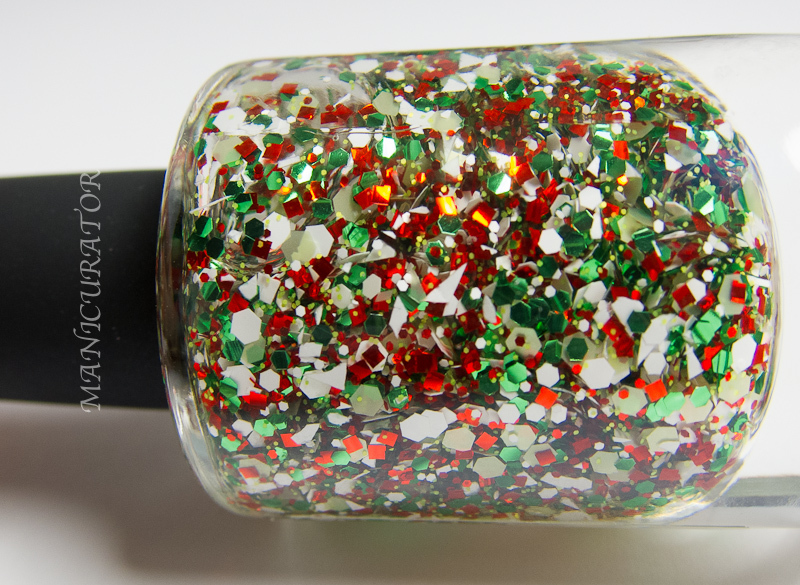 From the Etsy description: Christmas In Bordeaux wasn't meant to be the “standard” bright red & green Christmas polish. 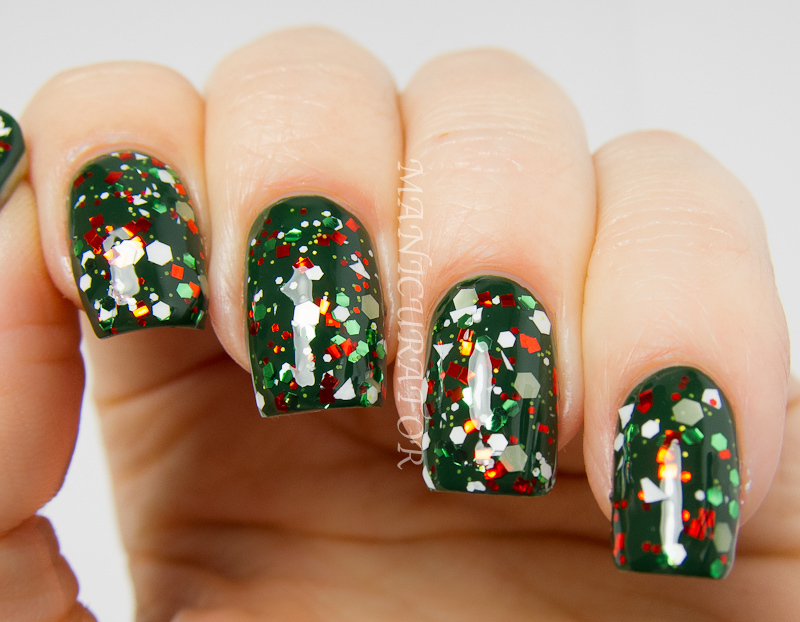 Like a fine wine, Christmas In Bordeaux was meant to be a bit more refined and pleasing to the palate :) I did my best to keep this particular nail polish simple and approached it using only 3 primary glitter colors: Green, Gold, and Red. My undies, 2 coats of Chick Nail Polish Hipster Chick. One coat of Christmas in Bordeaux is an elegant green, gold and red glitter polish. No problems with application at all. 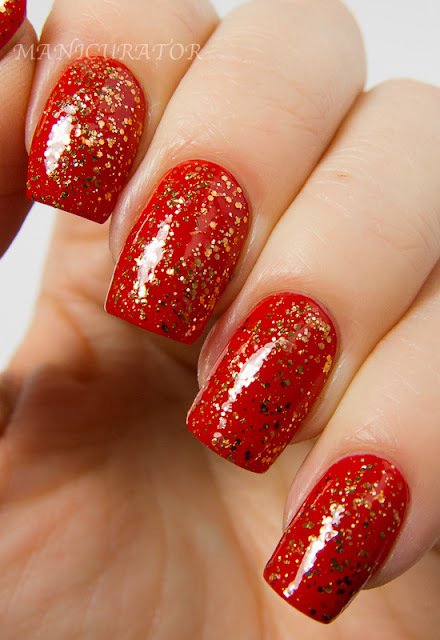 An understated Christmas polish. Very easy to wear. From the Etsy description: Something About Merry is the product of an unbelievably perfect ratio of green, red, and white glitters. Scientists can’t even explain how this came together the way it did! 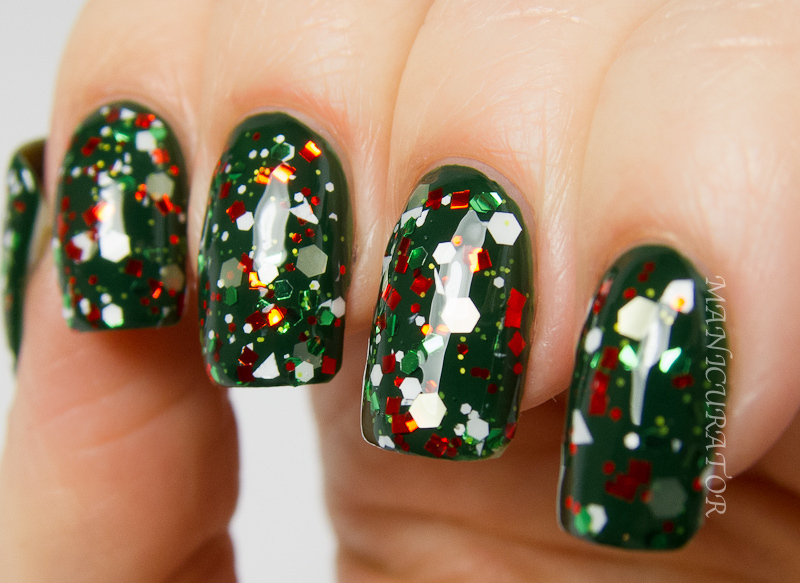 This is definitely the most festive nail polish of my winter collection and once on, you’re practically guaranteed to get comments, compliments, hate mail (on how you’re so cool that it isn't fair to the rest of society), and all that good stuff! If this doesn't scream Christmas, I don’t know what planet you’re from! 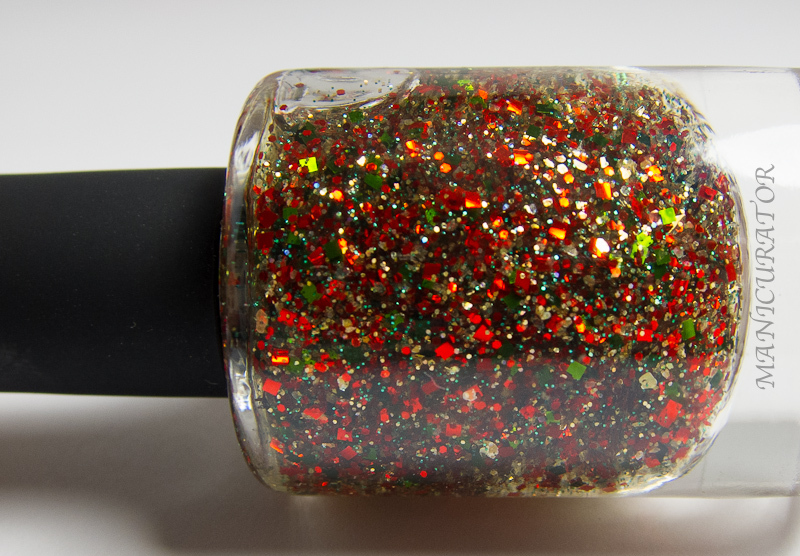 A fun description for a fun polish!! I really love the combination of glitters here! Two coats of Rescue Beauty Lounge Recycle served as the undies here. 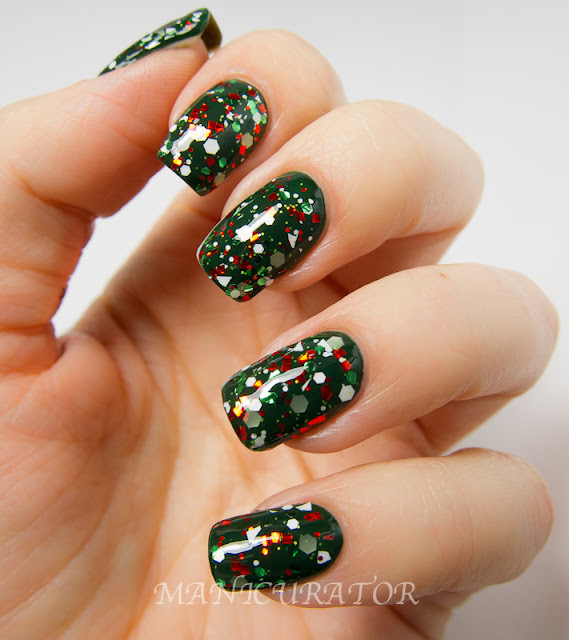 Absolutely love the lighter green satin hexes in here, I feel makes this one not just another red and green holiday glitter. I also love the contrast of the white glitters. This again, is one coat with an unproblematic application. This last one is my fave of this bunch due to it's uniqueness. What's yours?? Stay tuned for the rest of this collection tomorrow. I know these have been really popular lately, but I don't see anything terribly unique about them. Beautiful swatches as usual though. definitely like something about merry the best. it's like christmas threw up on your nails! OooooO...so pretty. All of them! Ummmmm these are amazing! What wonderful swatches! I have the first two but I want the last one now too. 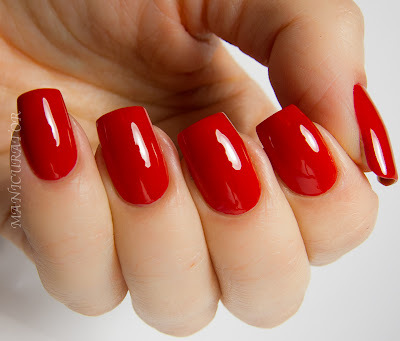 Your swatches are just too gorgeous! 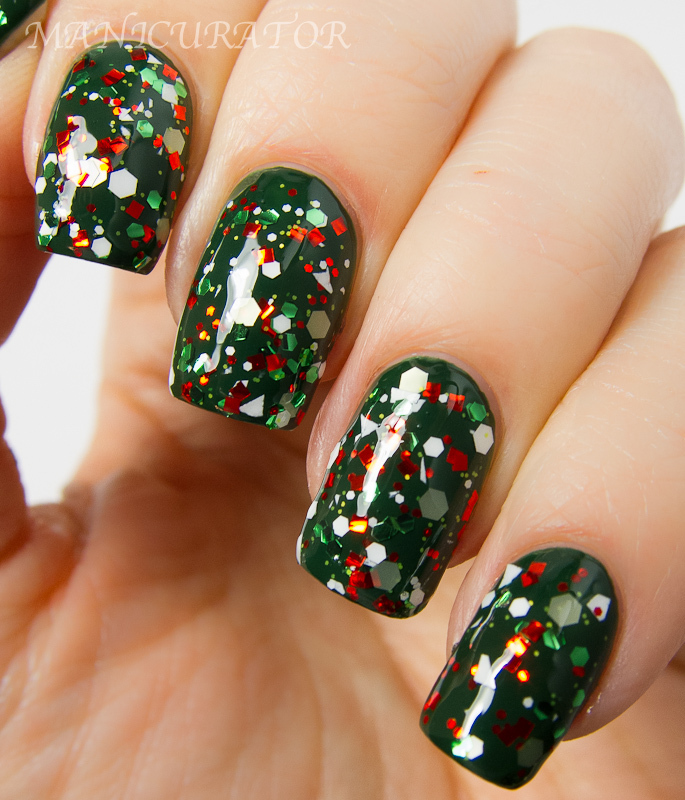 The combinations that you made look all so "Christmassy" :-) Great swatches!